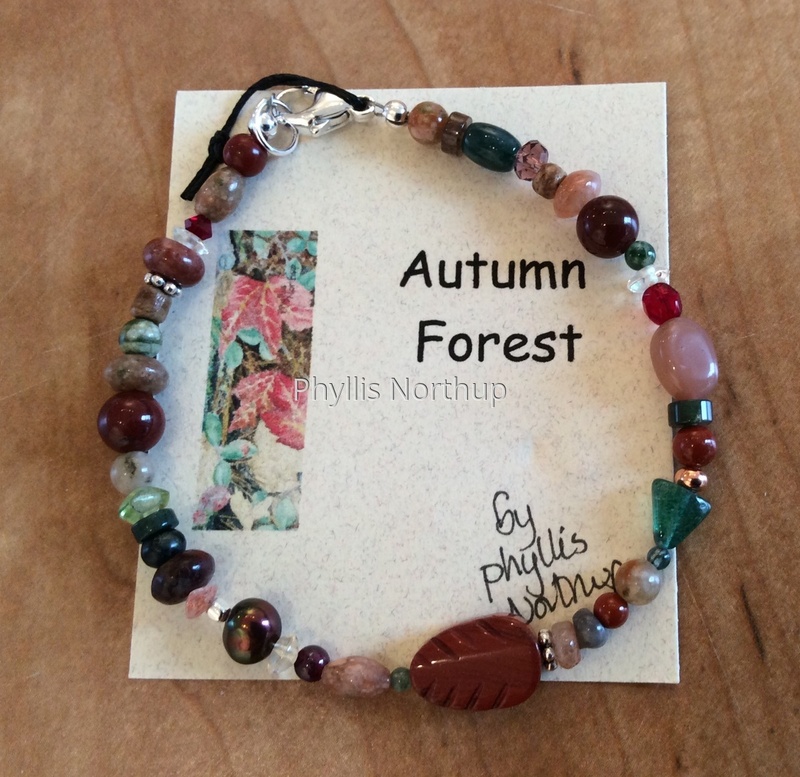 Celebrate the luscious colors of autumn with this beautiful bracelet rich with the many hues of the forest. Jaspers, agates, garnets, sunstone, Czech glass, Swarovski crystals, freshwater pearls, rhyolite, and quartz, with accents of copper, wood and sterling. Approximately 7 1/2" with sterling clasp.